Anna, 11, is from New York City! That's a big city! 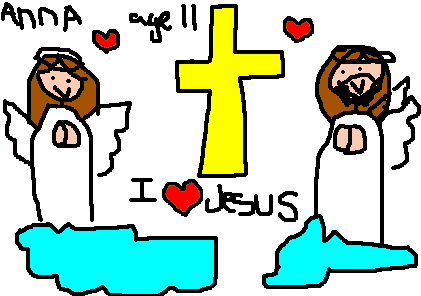 She drew herself as an angel in Heaven with Jesus. When we both become angels, we can visit Jesus together! 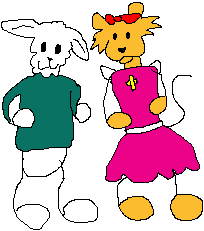 Trish, 6, drew Ruby and me dancing! Yay! Look at me go! 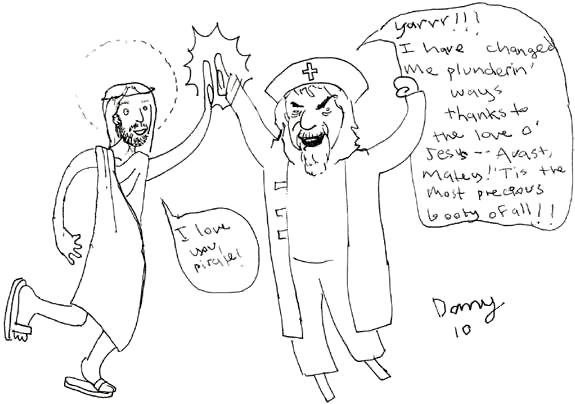 Richard and his friend Sparky drew this picture. I like you too! 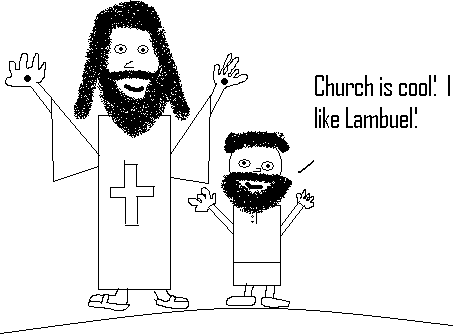 He has a beard just like Jesus! Could I grow a beard some day? 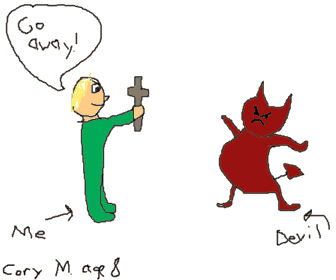 Cory, 8, drew himself rebuking a devil with a cross. Maybe when Cory grows up, he'll by just like my friend Dr. Troy! 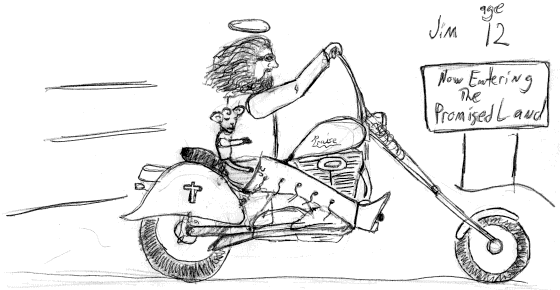 Jim, 12, drew Jesus and me riding a motorcycle together! That looks like fun! 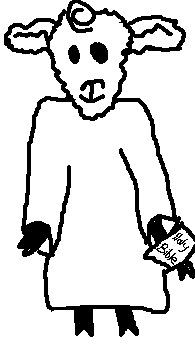 This one is a picture of me from Abraham, age 7. 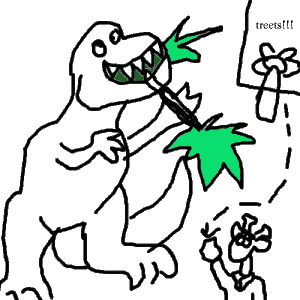 He drew it on the computer! Super! It must be cold! Brrr! of Ruby and me after we got married! just like Adam and Eve did! 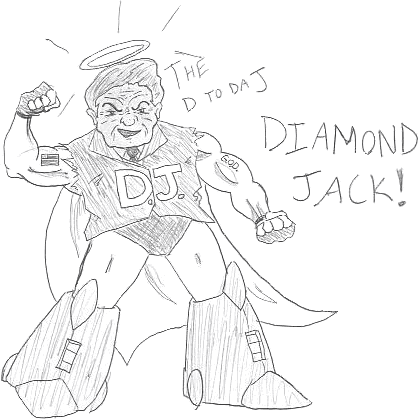 "You're my hero, Diamond Jack. I love you." That's awesome, Ben! If you study hard, maybe one day you too can be a Game Theoretician, just like Jack!